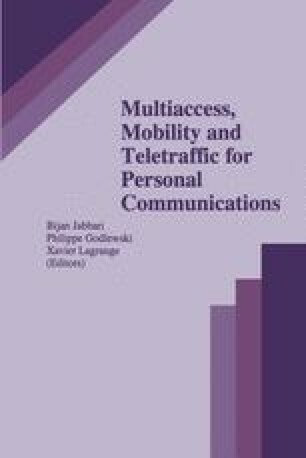 In this paper we investigate a possible technique for handling the reverse link (mobile-to-base) traffic inside the cell of a wireless PCS system, assigning different priority classes to new calls and hand-offs. For the corresponding queueing scheme we demonstrate how we can achieve the complete steady-state solution, exploiting a matrix analytic technique. Further and more importantly, through this approach we show how to efficiently model system behavior when critical traffic conditions — hot spots — are present in the mobile radio network, consequently determining the traffic quantities which directly affect transmission design. Lastly, we face the issue of tying the design of a CDMA transmission system to traffic constraints: to this regard we demonstrate how traffic parameters influence this system performance both in ordinary — and in critical — traffic conditions.